The popularity and success of the rapidly growing Oncotarget prompted us to launch new sections on specific disciplines, including Pathology. You may submit a paper rejected by other leading journals with reviews and rebuttal. Submission is centralized via Oncotarget submission system. Please choose the Pathology section. 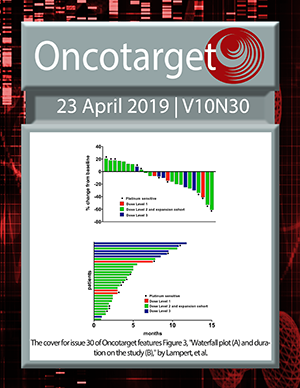 Instructions to authors are common for all Oncotarget sections. The paper will be published in Oncotarget within the Pathology section. Submit your paper now.